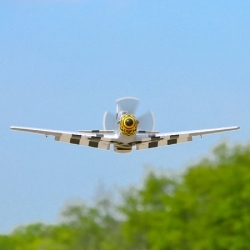 As a Bind-N-Fly® Basic E-flite RC replica, you can enjoy air superiority in no time at all. Final assembly is minimal and can be complete in about the time it takes to charge your battery. Once bound to your DSM2/DSMX compatible transmitter, an outstanding warbird experience is just a park away.